TBAG is the Tansy Beetle Action Group set up to try and conserve it. thank you for teaching us about the Tansy Beetle. What a great project for Earth Day. I love inspirations from nature. Tansy Beetle is such a cute name, ive never heard of the word tansy before.. The Tansy Bettle is beautiful.. and so is the bag! Very nice giveaway! My little one would be excited about our using a tansy beetle bag. He loves beetles. That is one sweet Tansy Beetle Bag! The Tansy Beetle has such pretty colors. Very cute bag! I never thought I would describe a beetle this way, but the Tansy Beetle is so pretty! It’s coloring is amazing! And that bag is amazing too! 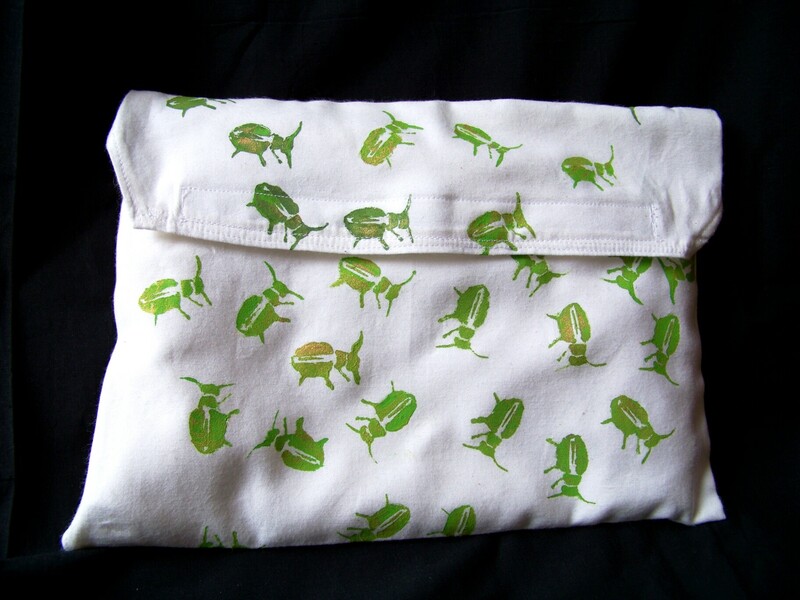 the Tansy beetle bag is so cute!! The tansy beetle bag is so unique, as well as the name! I would name and adore every single Tansy Beetle on this gorgeous bag! I’d carry my iPad in it and tell everyone how I got it! I had never heard of the Tansy Beetle so I googled it and realized that there is a need for something like this … what an awesome giveaway … Good Luck to Everyone!! I discovered today that the Tansy Beetle feasts on mint! Interesting! The Victorians use Tansy beetle as sequin? Wow. I’d like to see it. The story about your inspiration of this project from the Tansy beetle is awesome. I thoroughly enjoyed reading this. Thanks for posting and creating! I would love the Tansy beetle bag! I’ve never ever heard about the Tansy beetle so far. Interesting discovery! The common name for the tansy beetle is derived from the tansy plant on which tansy beetles often feed as both larvae and adults. It’s always the little ones, like that Tansy beetle that can become endagered so quickly without any of us really noticing. 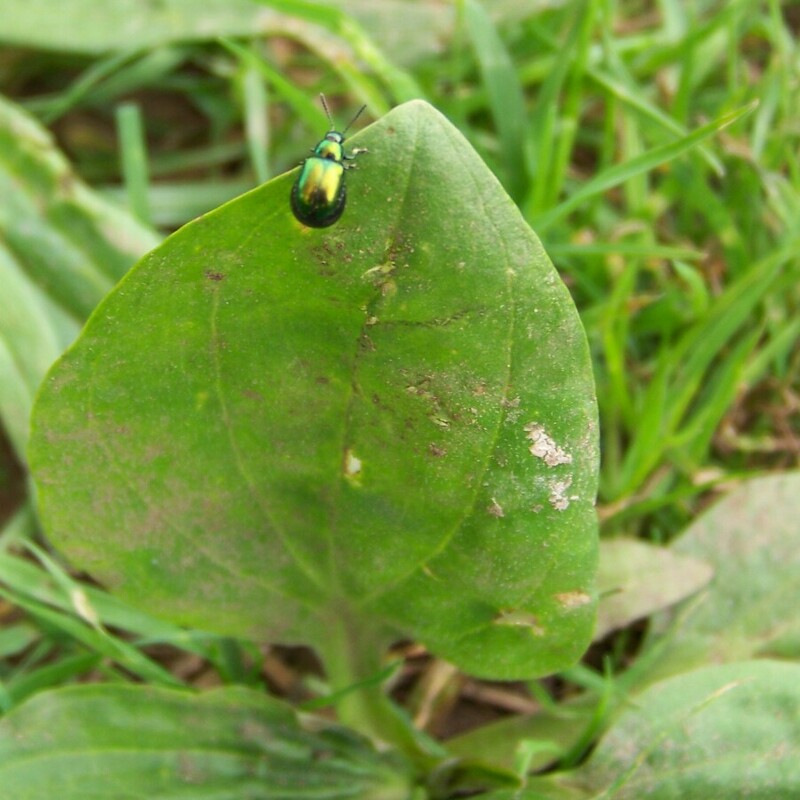 I’m never heard of this particular beetle, but very interesting and so neat that you were able to see them.